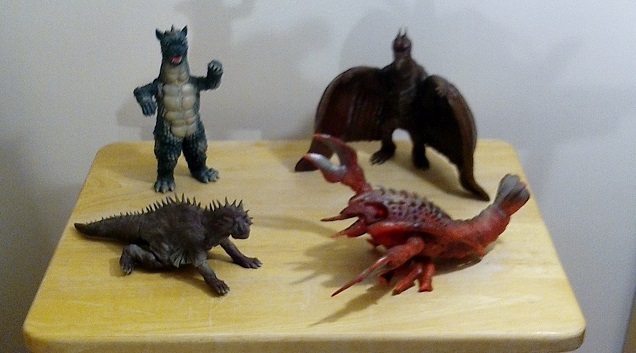 Discuss Vinyl Toys, Action Figures, Candy Toys, Godzilla Meat...whatever! Its been a while. Lost track of what I have already posted. This is the last six months or year. Cause who would have thought Bandai would actually make some. 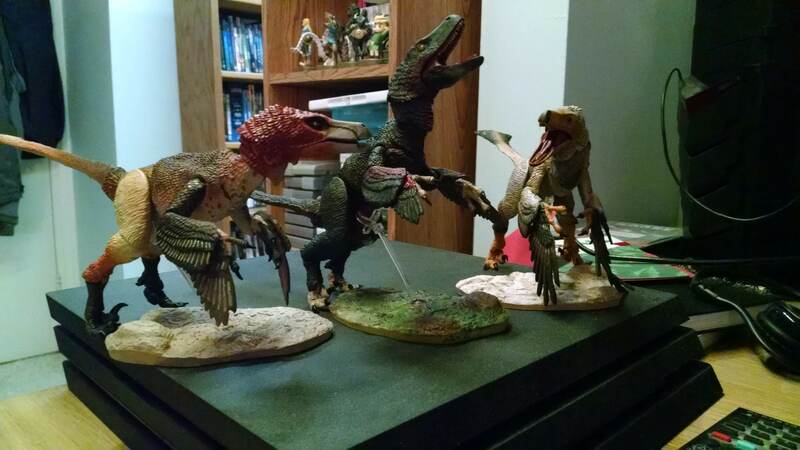 Got the Y-MSF Rodan for super cheap and then decided to go after other Showa figs. 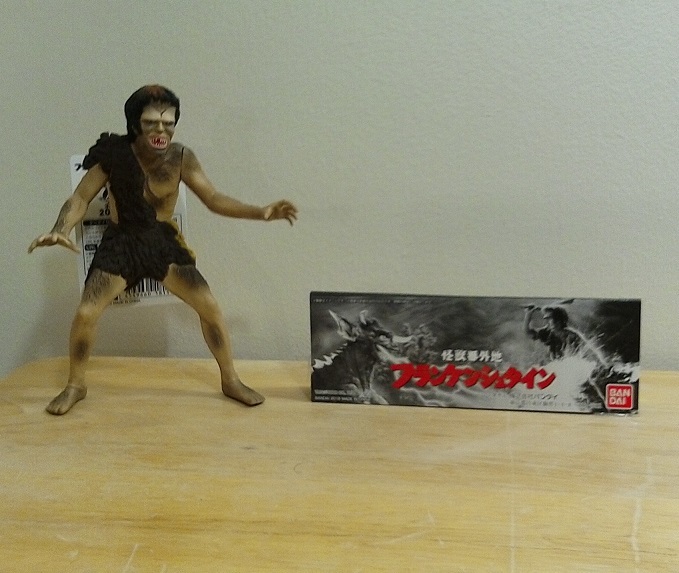 Too bad I missed out on the Kumunga as cheap as the Rodan was, from same seller. 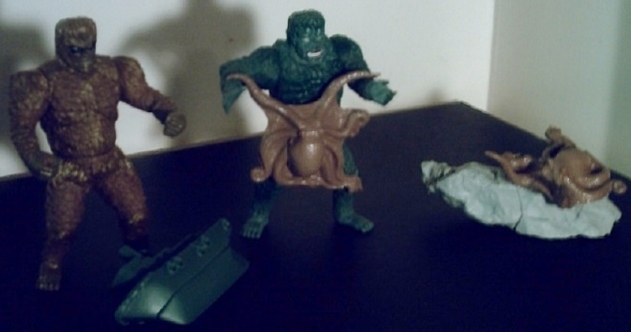 Glad I got the pre order for the Gargantuas. Finished up my Yamakatsu set with the Mechanikong. Super cheap Zigra. Always wanted a Kamacuras. 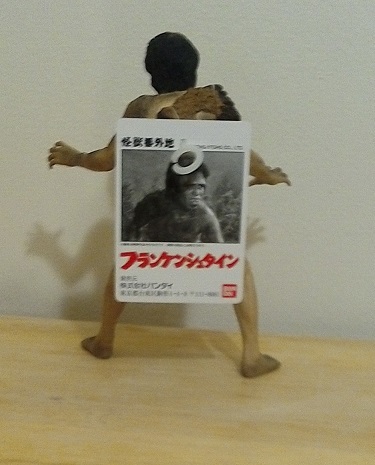 Last small Showa Bandai fig. I needed to get. I have kept from getting a Bandai Mecha Ghidorah movie figure since they are usually pretty high priced for me, being unpainted like that. I decided I wanted to get the Forever series one before I bought the unpainted version. I found one for the same price range, $70. Where's a Giant Monster when you need one? 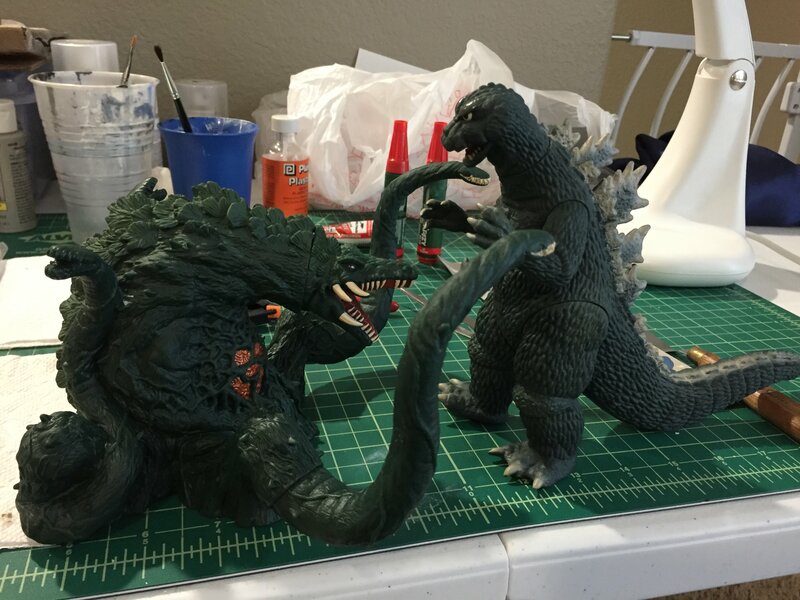 I ordered the SHMAs of Shin Godzilla Awakening, Spitfire Godzilla 14 and G54. I've gotten in Shin Goji and Spitfire but I'm pretty sure my G54 got lost in the mail. The seller on Amazon (from Japan) shipped it out on February 12th via Japan Post with no tracking info and the standard shipping method. I contacted him on Friday and he just issued me a full refund which if G54 doesn't arrive in a week and half when I get paid again I'm going to track it down. So far I've only opened Shin Godzilla, I was waiting because I wanted to do unboxing/review videos but there's enough of those on YouTube that I decided to hold off. I need to get a new shelf put up in my room so I can display the rest of my SHMAs. 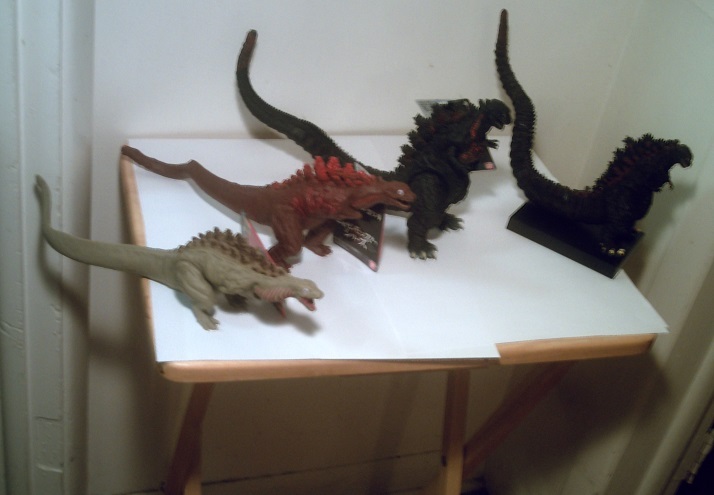 Right now I have Destoroyah Evolution Set minus the flying form, Destoroyah Final Form, Burning Godzilla 1st release, Godzilla Junior 1st release, Comic Con Explosion Godzilla, MG93 1st release, Godzilla 94, Space Godzilla 1st release, Little Godzilla 1st release, Kiryu Normal Version, G2K 1st release, Biollante and King Ghidorah on display. 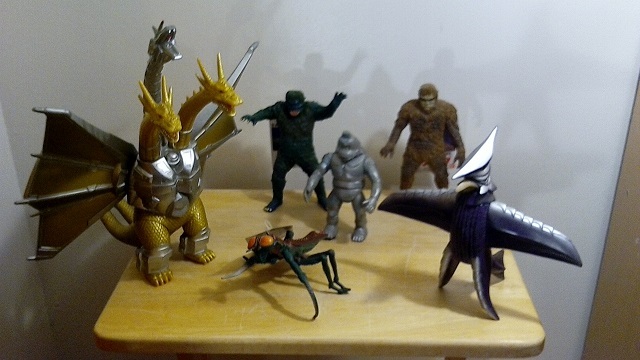 I still need to display Godzilla 64 1st release, Godzilla Junior Adult, Fire Rodan, Mothra, Battra, Larva Sets and Flying Destoroyah. I may hold off of displaying Imago Mothra and Battra just because of how their stands are I don't want them to fall and break. If they shipped your G54 via regular SAL, there is no tracking info and it can easily take well over a month. I use registered SAL on my HLJ orders (it's the same shipping method, but for a few bucks more they offer rudimentary tracking info) and it usually takes about 5 weeks to arrive. From what I understand, SAL is "space available" where basically the cargo container sits in the shipping facility until it fills up with SAL shipments. Once it's full, th container sits there until a vehicle (ship? plane? I'm not sure) has extra space available when it's ready to leave. So it can take a while. I think the longest it's ever taken for me is 6 or 7 weeks. But, hey, it's way cheaper! Location: TN -> MS -> LA -> TN -> MN -> TX -> where next? 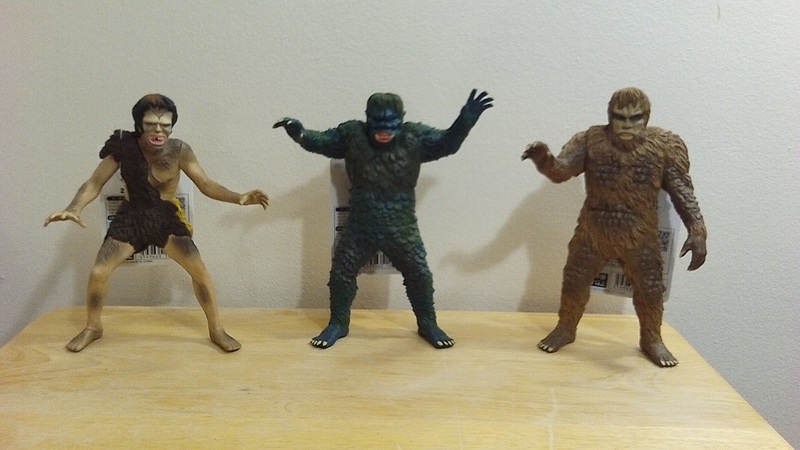 I am not at all a collector but the YMSF Gabara (and their other obscure Showa kaiju) appeals to me because it feels like such a novelty item. 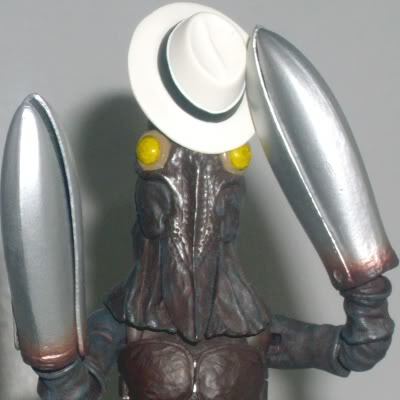 Like... it's a suit-accurate Gabara! canofhumdingers wrote: If they shipped your G54 via regular SAL, there is no tracking info and it can easily take well over a month. I use registered SAL on my HLJ orders (it's the same shipping method, but for a few bucks more they offer rudimentary tracking info) and it usually takes about 5 weeks to arrive. I think they used the regular SAL shipping method. I've never ordered anything using that method so I'm not used to it taking so long I knew it'd take awhile but I didn't now it would be this long. Right now I'm sitting at six weeks since it shipped so it should show up with in the next week or so. If it did indeed get lost in the mail I'll reorder it in May when I'll have extra money. 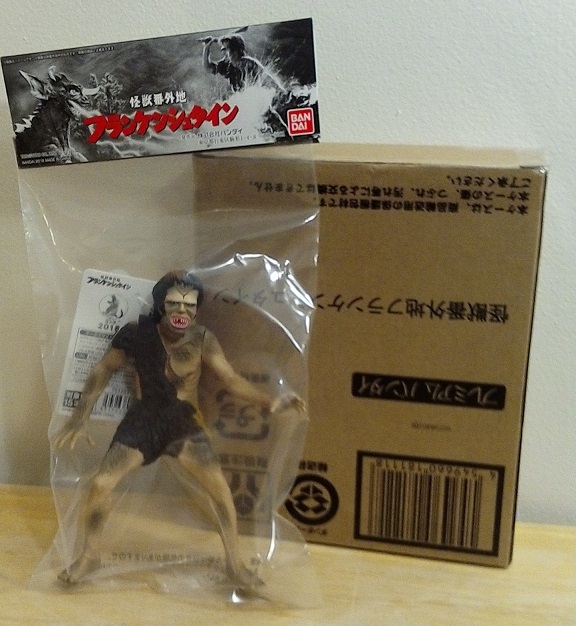 After his long month and a half journey, Bandai Frankenstein has arrived. I am so loving it. This is a great line so far. That header card is so great I almost did not want to take it out pf the bag. Love me some Dinos so I had to pick this up. It's great! 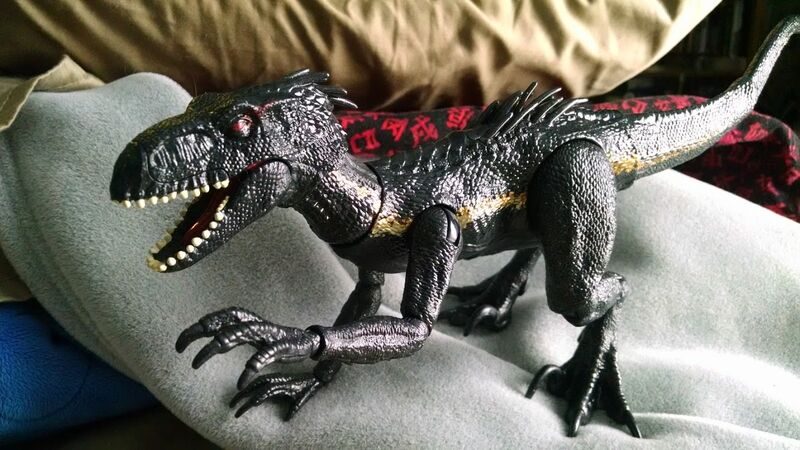 It's like a NECA but less detailed and with joints that won't break at the drop of a hat. Biollante arrived the other day. She’s short (as expected) but still a pretty large chunk of vinyl overall. The sculpt is GREAT and the paint is pretty nice too. My birthday gift came in the other day. 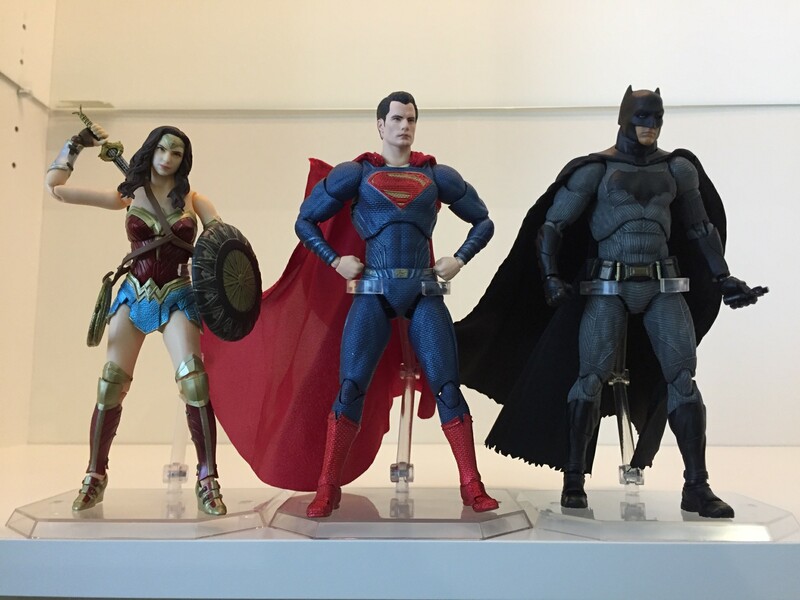 Love these revoltech figures. 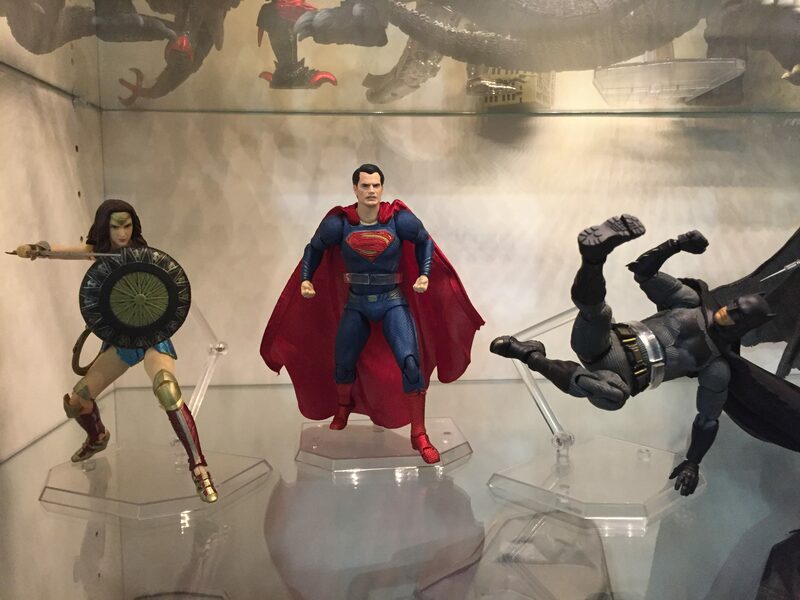 One of the next things I want is the Mafex Justice League Superman. I wish you could buy extra heads, as I'd love to customize one with a mustache. Beautiful! Now I just have to decide on which Robocop I want to get from them. Although I am leaning towards Robocop 1 but the blue/purple chrome sheen on Robocop 2 is very appealing. 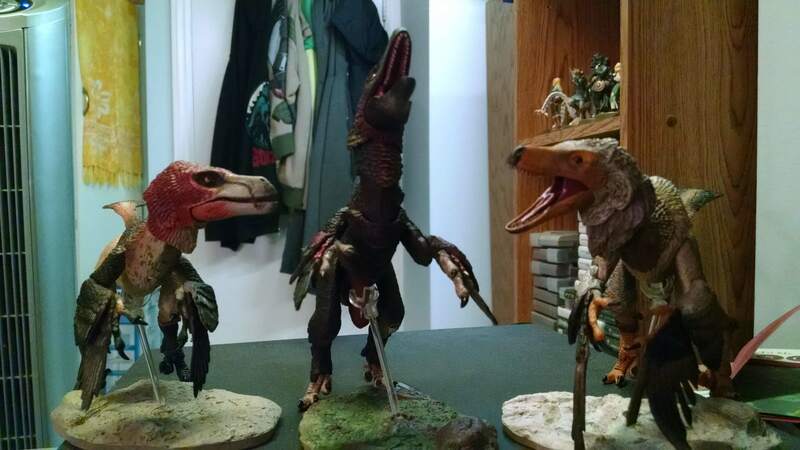 The Beasts of the Mesozoic have finally arrived! My last was Evolution Toy Fireman. I was a bit wary due to the initial release of Zone Fighter being so problematic (joints that popped off easily and loose, flimsy joints). 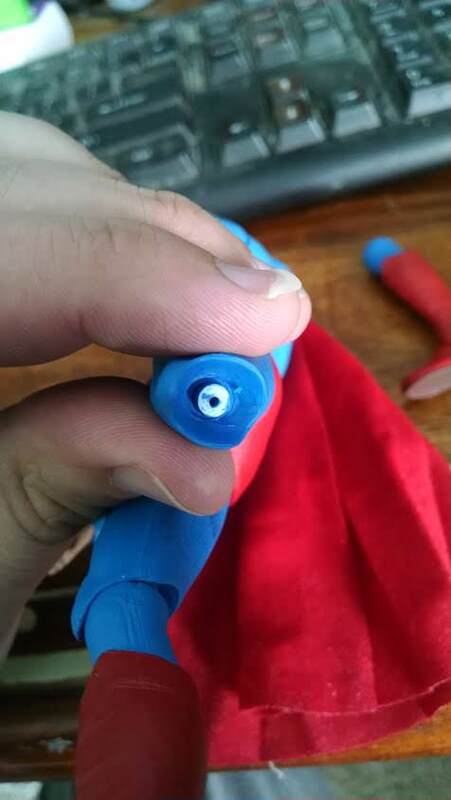 However, I'm happy to say my Fireman is good, no loose joints, no issues. I'm also going to get Spectreman when it comes out later in the year. 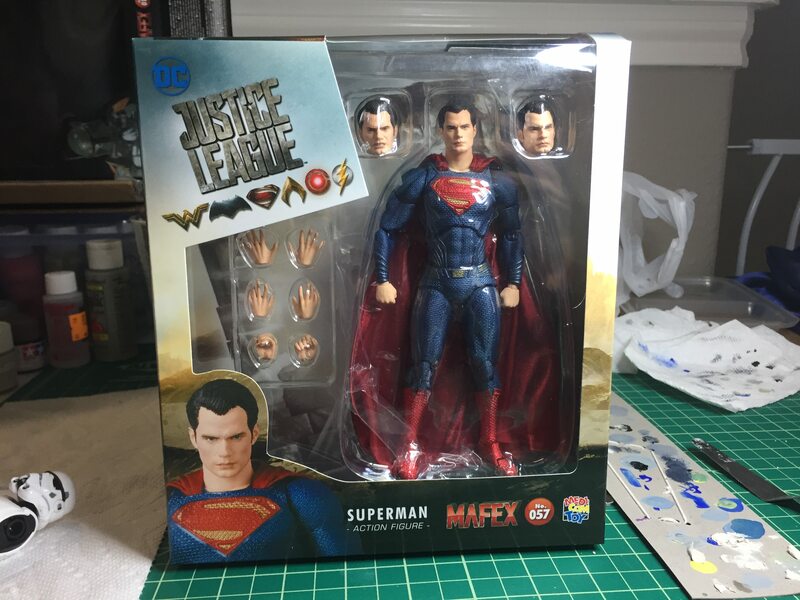 Got my Man of Steel! 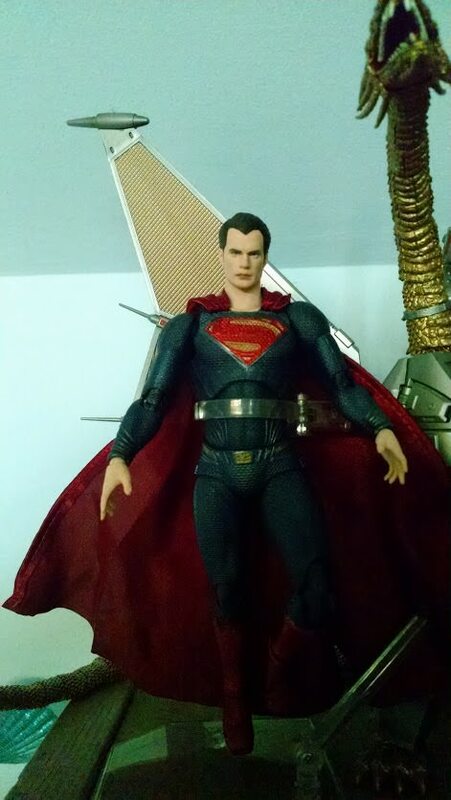 Now... to get a bootleg NECA Christopher Reeve Superman to replace the leg on the actual figure. So I'm swimming in Suchomimus basically! 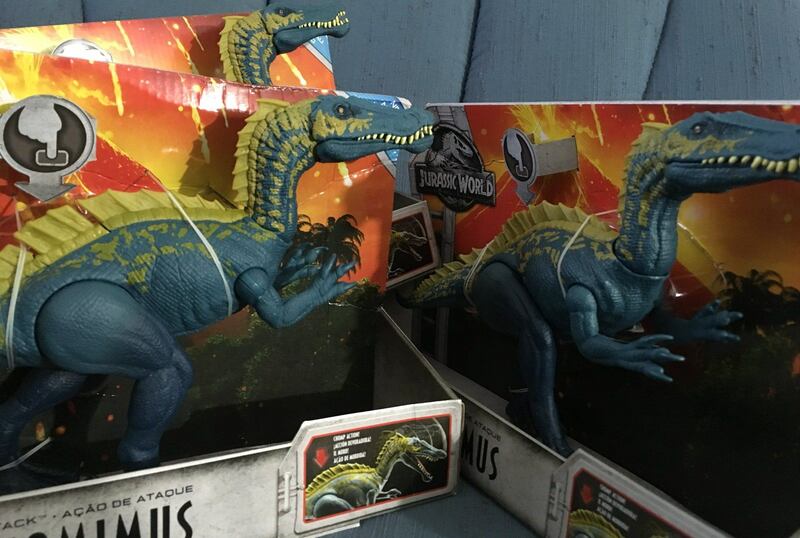 This is a brand-new figure from the second wave of the Mattel Jurassic World line. 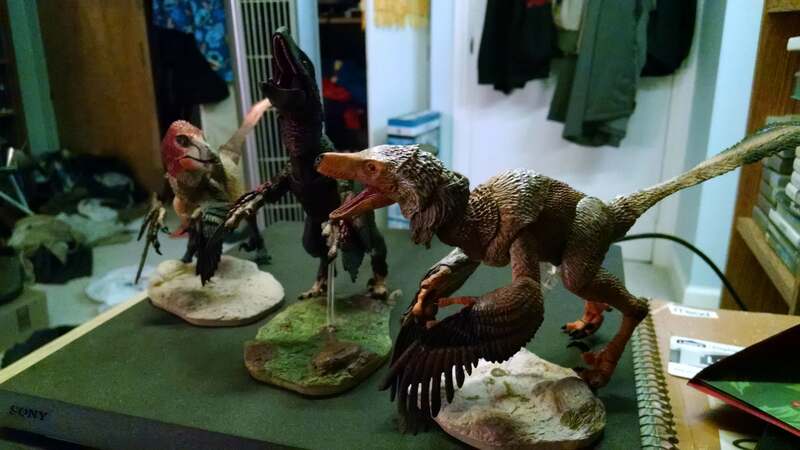 I wanted to avoid any major issues with the eyes like I had with Stegosaurus, where they would be printed misaligned on the figure and end up looking very weird, so I bought a few and picked the best of the litter to open. No plans on what to do with the rest yet. 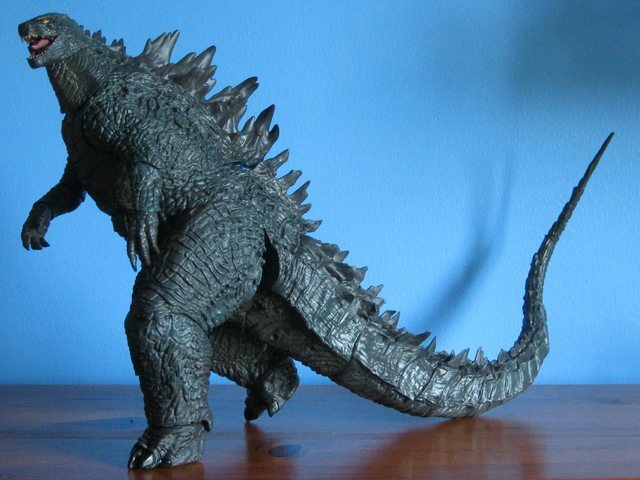 I stopped by a local comic shop yesterday, and was surprised to find a NECA 24" Godzilla 2014 for about $60. I took the opportunity and brought it home. It's a really nice figure. I was kicking myself for not buying it while in-production (twice! ), so I'm very happy to have one at last. 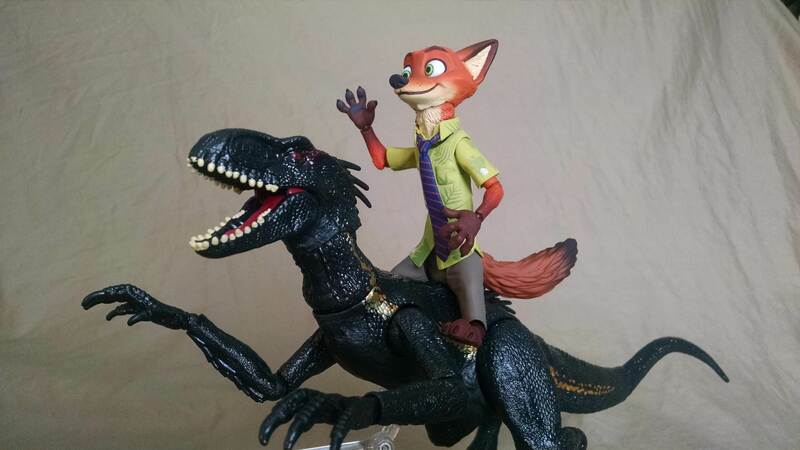 I think it just recently got a reissue, NECA's done that for a fair few figures recently. It's 2018 and Gordon Freeman action figures are back on store shelves, it's crazy. My latest purchases were S.H. 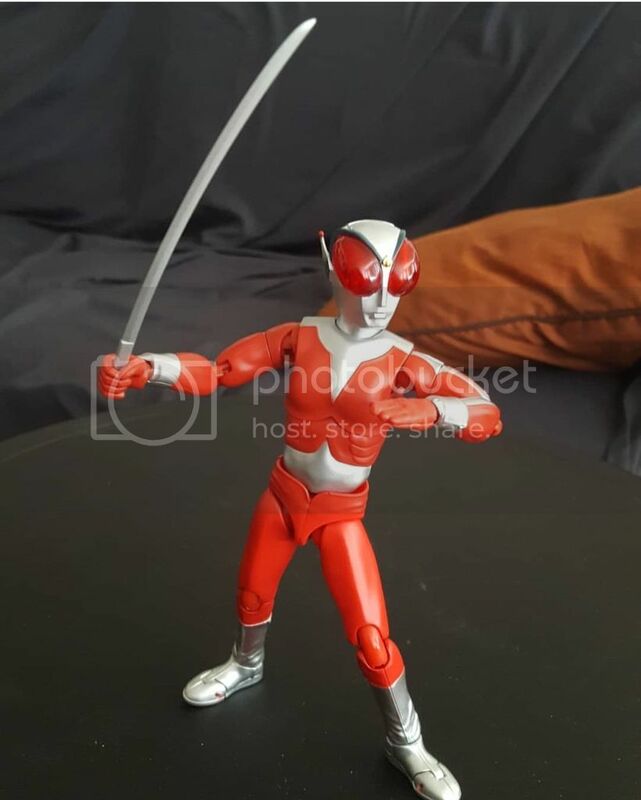 Figuarts Ultraseven and Bandai Ultra Action Ultraman Rosso and Blu. My next figure to come in the mail is S.H. Figuarts Geed Royal Megamaster. 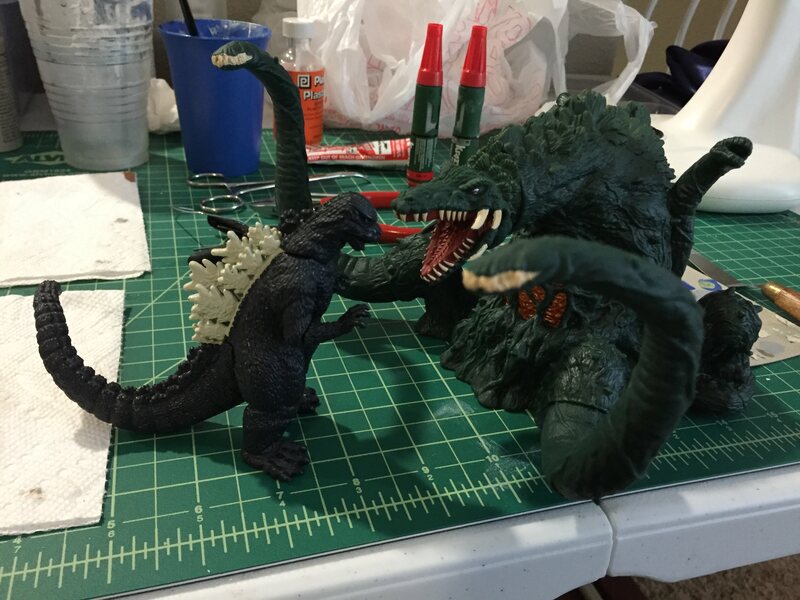 Picked up a Funko Pop standard paint Godzilla and a King Kong today at a POP event I heard about yesterday. Not a POP collector but just to have them before the 2020 movie release would be cool. Decent deal. Both for $35 total. 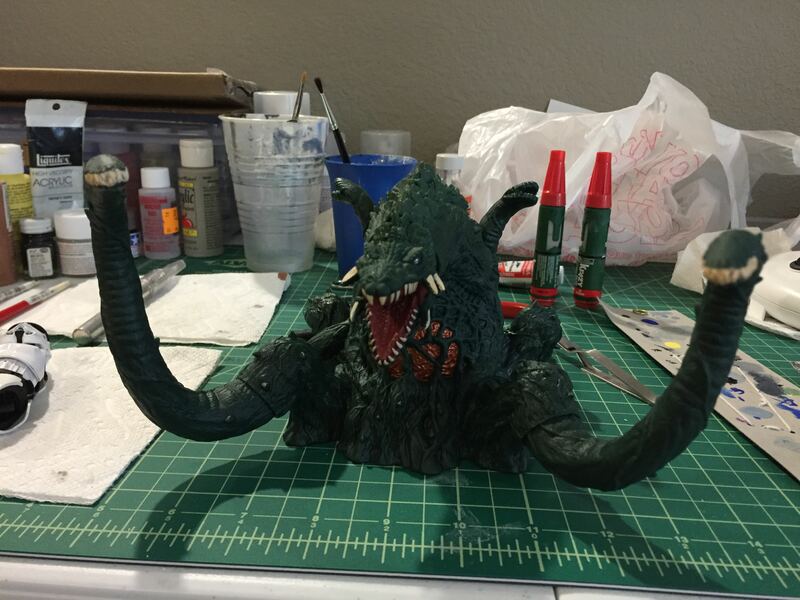 Just scored a SH monsterarts GMK off of ebay NIB for $59 with free shipping....Happy about that one. Ooh the GMK is a great figure! 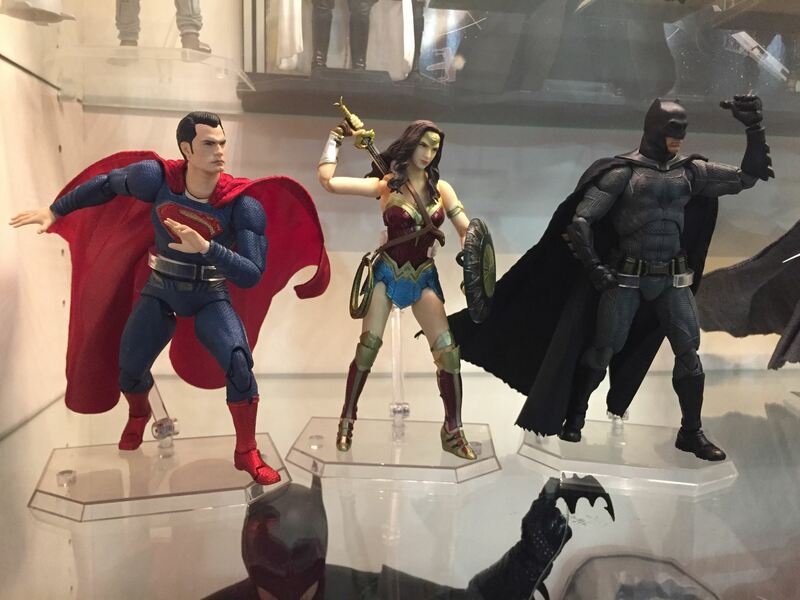 He has a very commanding shelf presence.